To the wild woods we must go. For to pass away the long winter’s day. Or to wipe away the briny tear. For to pass away our long exile. And our pike poles we scarce can hold. We’re the boys of all slavish care. With a pretty little smiling wife. 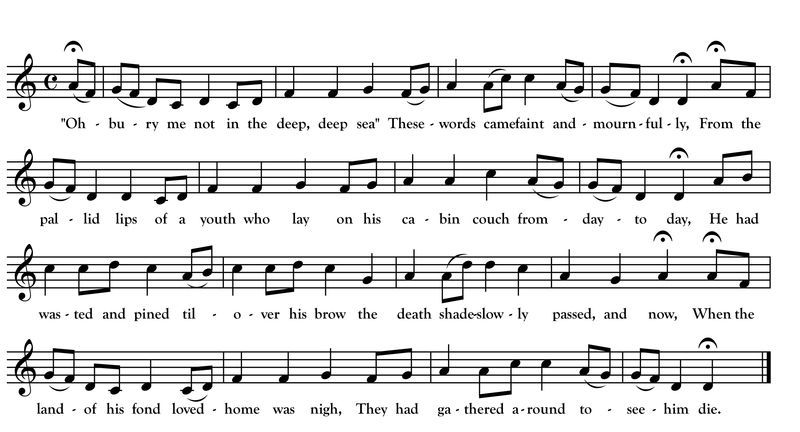 The melody used by Dean (and Hannah) is related to that of the Irish song “The Boyne Water.” Versions of the old ballad “Sir Neil and Glengyle” also use a similar air. 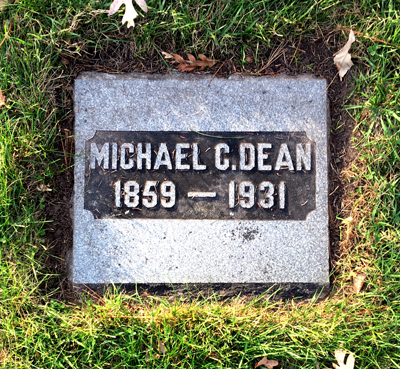 The Lost Forty arranged Dean’s version of “Shanty Man’s Life” and shot our monthly video at the North West Company Fur Post in Pine City just a few miles from where Michael Dean is buried. 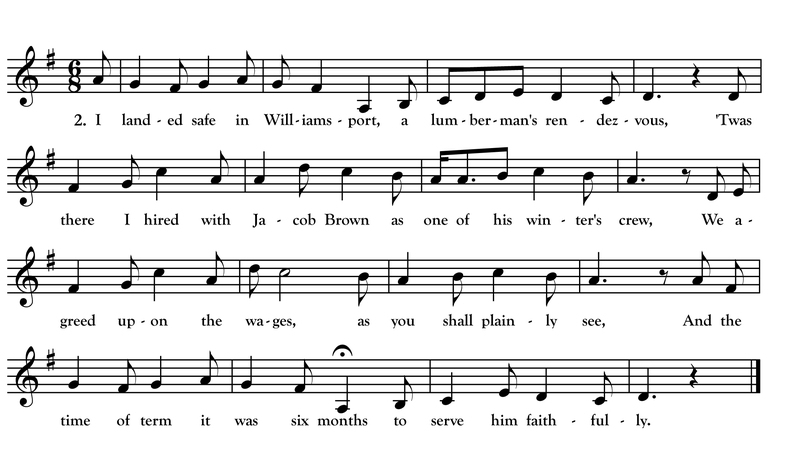 The above transcription is my attempt to capture Dean’s singing of the song which you can hear for yourself at the Minnesota Folksong Collection website. Dean varies the melody in the second verse. Randy and I made some changes to the text and melody for our version.